A treat for all Mothers! We don't want to sound too feminist but Really Eco Baby and NapNap are very much the two babies of two mummies (among lots of other real babies). We fit work around more work and family life. That's why we are quite keen on celebrating Mother's Day on March 18th - because we know mums work extremely hard and need a treat once in a while! If you are looking for a present to give to your cherished mother, you will be spoilt for choice - we know there are lots of lovely, yummy luxurious gifts out there. But here at Really Eco Baby you can give that bit of luxury but also make a conscious choice to give a present that will be natural, organic, ethical and useful. 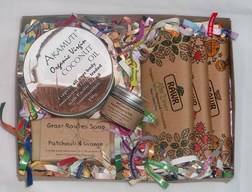 Our very special Mother's Day hamper contains products we would love to receive ourselves. 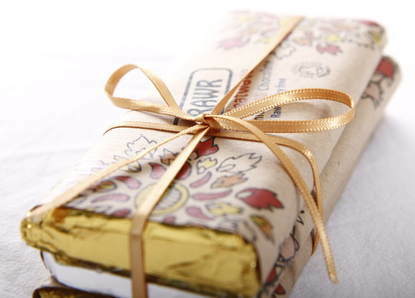 It is all about looking after your body with organic and moisturising creams and soaps without forgetting your mind: I am talking about our delicious raw chocolate bars! They are so good for you that we do not feel guilty about including 3 bars for you to taste and share. But you can also have a clean conscience: the Akamuti Coconut Oil is fairly traded with Indonesian island Communities while the Grass Routes lip balm and soap are handmade in Hertfordshire with natural ingredients and no palm oil. If this present is intended for a new mother, treat her also to a NapNap Voucher. So enjoy, share and love Mother's Day this year!